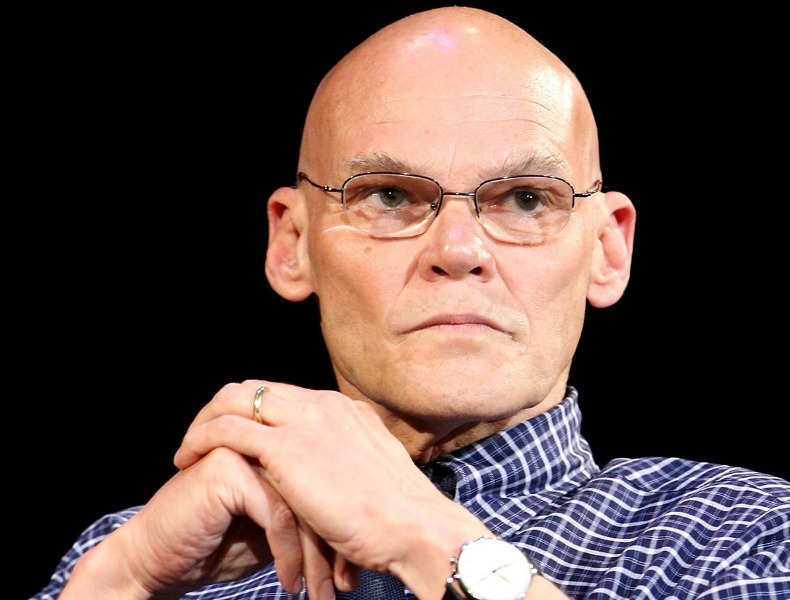 Political Strategist James Carville will be a keynote speaker at the Tulane Entertainment & Sports Law Conference which starts Friday. Renowned Political Strategist James Carville will headline Tulane Law School’s 2nd Annual Entertainment & Sports Law Conference, which draws a veritable Who’s Who of entertainment and sports executives as well as creative entrepreneurs each year. Titled “Geaux Create: Emerging Trends in Law and Creative Content,” the conference takes place this Friday, April 12 at the law school, 6329 Freret St., in the John Giffen Weinmann Hall, Room 110. It is good for eight hours of CLE credit. Among the highlights, the conference will feature a keynote conversation between Carville and Mike Tannenbaum (L'95), an ESPN analyst and former Executive Vice President of football operations for the Miami Dolphins, about the role of law in sports, including legal claims arising from the “NOLA No-Call” litigation and the New Orleans’ Saints “Bountygate” and college basketball’s recruiting scandals. Annually, the conference explores powerful forces disrupting and remaking the sports, entertainment and creative industries, from new technologies and distribution channels to virtual reality and a melding of sports, media and entertainment content. It highlights those representing talent – from sports agents to those whose clients are some of the best known in Hollywood. Friday’s event is free and open to the public. Continuing Legal Education credit (CLE) is available. Dan Scharf, Head of Television Business Affairs, Amazon Studios, specializing in entertainment, digital media, intellectual property, television production, merchandise and licensing. He is former general counsel of the Jim Henson Company and managed business and legal affairs for Disney Cable Networks Group and Fox Television Studios. Allison Jacoby (L’96), Morris Yorn Barnes Levine Krintzman Rubenstein Kohner & Gellman, Los Angeles and the Demoff Sports Group. Jacoby represents sports figures and broadcasters, crafting talent agreements; she specializes also in navigating the post-NFL career of many of sports clients, including applications for disability benefits and filing for relief under the NFL Concussion Settlement. Tyrone Thomas (L’01), co-chair of the Sports & Entertainment Practice for Mintz, Levin, Cohn, Ferris and Popeo, in Washington, DC. Thomas represents clients on complex legal issues in athletics, including college and professional athletes. He has served as a legal analyst for The New York Times, ESPN, Sports Illustrated, The Chronicle of Higher Education, Sports Business Journal, University Business, and the Sports Litigation Alert. Mike Tannenbaum (L’95), a newly-minted ESPN analyst, was formerly Executive Vice President of Football Operations for the Miami Dolphins. Prior to that, he served as the general manager for the New York Jets. Tim Francis (L’84), Partner, Sher Garner, New Orleans. Throughout his career Francis has worked in a wide variety of business, entertainment, art, political and legal avenues. He as an assistant and counsel to former New Orleans mayor Moon Landrieu and La. Sen. John Breaux and was CEO of Stevie Wonder Enterprises. Marvin Demoff, founder of Demoff Sports Group and legendary agent for multiple NFL star players and other talent. The 2013 ESPN film "Elway to Marino" recounts Demoff’s representation of Dan Marino and John Elway in the 1983 NFL Draft. Reed Bergman, President and Managing Partner, VaynerTalent, New York. He is also President and CEO of Playbook, Inc., who has secured relationships with and generated revenue for world-class athletes, pro sports franchises, and international brands, including Mercedes Benz, Anheuser-Busch, Norwegian Cruise Line and Coca Cola. Dale Nelson, Partner, Donaldson & Callif, a boutique firm in Los Angeles that specializes in documentary clearance and fair use. With more than 20 years as a legal executive at Warner Brothers previously, she handled major brands including Harry Potter, Looney Tunes and DC Comics. Charline K. Gipson, co-founder and partner of the Davillier Law Group, LLC, who has represented both individuals and organizations in the NBA and NFL. The conference opens Friday morning with a look at the creative environment for film and music in New Orleans, showcasing the work of two emerging filmmakers associated with the New Orleans Film Society, Samantha Aladana and Kenneth Reynolds. In addition to panels focusing on the latest developments in film and television and the sports industry nationally, the conference also explores ways in which other forms of creative media, including fabric art, quilting, and cosplay, leverage popular entertainment and culture to fuel a rapidly expanding $5-billion arts and entertainment industry. Participants include Cely Pedescleaux, the renowned New Orleans quilter; Mary Fons, editor-in-chief of Quiltfolk magazine; and Scott Fortunoff, President of Jaftex, a major fabrics producer. In addition, the conference will feature Tulane Law faculty members in various panels, including Dr. Elizabeth Townsend Gard, Director of the Tulane Center for IP Law and Culture, and the Copyright Research Lab; adjunct Prof. Ashlye Keaton, Director of the Entertainment Legal Assistance Project; and Prof. Gabe Feldman, Director of the Tulane Sports Law Program. On Saturday, attendees are invited to stay on for a spin-off series of talks and workshops focused on the interrelation of law and crafts. Speakers from the creative industry and law students will address issues of copyright, trademark, fair use for crafters, quilters, and cosplay. There will be a hands-on workshop on costumes and techniques. Mary Fons will be the keynote speaker. There is a costs to workshops for Saturday’s events, although students can attend for free. More information on that here.